According to the Arthritis Foundation, arthritis is the leading cause of disability in the United States. The term arthritis is a word derived from two Greek Words – arthro, which means joints, and itis, which stands for pain and inflammation giving us one word for “joint pain”. Although there are many forms of arthritis, some of the most common types are osteoarthritis, rheumatoid arthritis and gout. These different terms are useful for describing specific causes of arthritis but it all boils down to pain and inflammation, which can be eased by better food and lifestyle choices. It is good news to know that there is more that you can do to live an active pain-free life than just relying on harsh medications. The medications only attempt to cover the symptoms of arthritis while lifestyle changes eliminate the root cause of the discomfort helping life to be more enjoyable over all. First, lets look at the causes of these various forms of arthritis. Once you understand potential causes, ways to eliminate the cause becomes obvious. Osteoarthritis (or OA) is a very common form of arthritis, which occurs when there is the breakdown of cartilage, which is the part of the joint that cushions the end of the bones. Overall lifestyle habits will determine whether or not you are at risk of developing OA. If you are well hydrated, eat well, get exercise, sleep well and avoid bad habits such as smoking and heavy drinking – then you will be more likely to avoid the pain and suffering of OA later in life. Weight has a huge impact on OA. According to The Arthritis Foundation, for every pound you gain, your knees gain three pounds and your hips six pounds of added stress! A lifestyle that leads to weight gain and OA is also one that creates inflammation in the body. Some believe too that fat tissue release inflammatory compounds into the body which can cause damage. Inflammation will lead to pain and we all know what pain leads to. So, when you are living a healthy life where you are sleeping well, eating well and getting some regular exercise, weight is never an issue. If this seems too hard to believe, then please read my article at www.sanaview.com on how to balance your weight naturally. There is no need to ever diet again when you learn to put priority on good sleep habits and learn to eat an abundance of foods that are healthy for your body. Rheumatoid Arthritis (or RA) is a form of arthritis that is categorized more as an autoimmune disorder. With these types of inflammatory disorders, something triggers the immune system to overreact and begin a destructive process in the body that leads to pain and discomfort. There are a variety of autoimmune type disorders and RA is just one example. 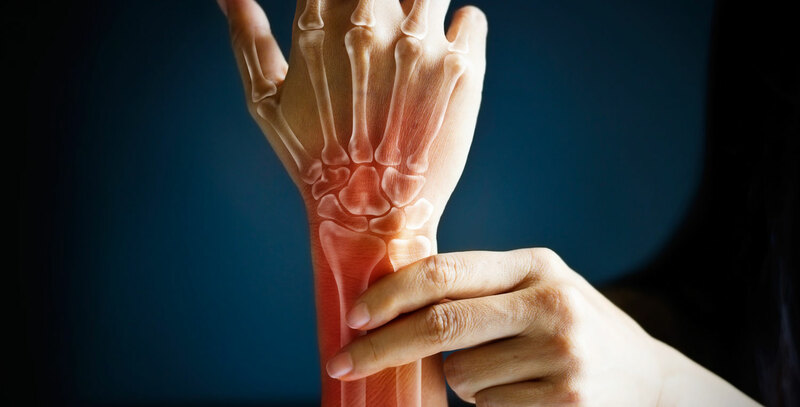 With RA, the immune system attacks a thin membrane that lines the joints causing fluid build up and pain. Autoimmune diseases can be triggered by a variety of circumstances. When I am working with someone with some form of autoimmune, I always look at what may have triggered the immune system to overreact so that we can address the cause or causes – as sometimes there are multiple. This can be exposure to a harsh medication or environmental toxin, a virus or infection, a set of foods, and often even an emotionally upsetting or traumatic experience. In holistic health, we tend to look at all aspects of someone’s life and work to bring the mind and body back into balance. I too have an autoimmune disorder that I have kept at bay for many years without medications or surgery. I am clear as to which foods trigger my autoimmune disorder and am also very aware as to how my emotions play such a key role. Learning to eat right and manage stress is critical. There is certainly a soft spot in my heart for anyone dealing with autoimmune as they are often quite debilitating illnesses, and RA is certainly no exception. The good news again is that there are certain food and lifestyle improvements that when made deliberately, they balance the immune system and bring the body back to perfect health. Gout is another form of arthritis that occurs when there are high levels of uric acid in the body. Uric acid is associated with purines in our diet so often a low-purine diet is recommended. This is only half the story, though. Recent research on tens of thousands of people has shown that only purines from animal foods impact uric acid in the body and that plant-purines do not. High levels of uric acid can be a result of purines from fish too, which is often mistakenly thought of as an anti-inflammatory food. We already know that too much animal protein increases inflammation in the body so obviously, reducing or eliminating your intake of animal protein is one very important consideration if you want to begin eliminating symptoms of gout. Now that we understand some forms of arthritis and potential causes, what should we do about it? Please make sure you are getting enough good quality rest. Sleep is rarely a priority in this society, but if you want to be healthy and full of vitality, please get to bed at a decent hour and focus on good sleep habits. Sleep also affects your ability to manage stress and balance your weight – both of which can impact your risk for arthritis. Please make sure you are well hydrated. Starting your day with a glass of filtered or spring water is the perfect way to start your day for so many reasons. Being hydrated throughout the day too will help to keep joints well lubricated eliminate toxins and thus pain-free. Learn to eat an anti-inflammatory diet. Please see my article on an anti-inflammatory way of life. This way of eating reduces or eliminates processed junk foods (especially those filled with hydrogenated fats and processed vegetable oils), animal protein, dairy, and artificial ingredients. Dr. Andrew Weil has actually suggested that you decrease total protein intake to only 10% of daily caloric intake and he suggests that you replace animal protein with plant proteins. Consider avoiding wheat, oats, barley and rye as these contain gluten. Many experience increased inflammation in the body when they consume wheat and gluten so avoiding these foods is a smart choice. Try to cut back on refined sugar and flour, both of which may increase inflammation in the body. Please try some of the amazing decadent healthy dessert recipes that we have on our site for delicious healthy treats. Instead, fill your plate with colorful fruits and vegetables, especially green leafy veggies! Colorful plant foods are high in antioxidants and high in anti-inflammatory compounds. Including some of your fruits and vegetables uncooked (or raw) will help tremendously. Research has shown that raw foods have higher anti-inflammatory compounds, which is why a raw diet is the only diet that has been proven to reverse RA. Use nuts and seeds as your source of protein. Many nuts and seeds, especially walnuts, flax seed and chia seeds are high in Omega 3 anti-inflammatory fats so are extremely helpful to reduce arthritis pain. Ginger, garlic and turmeric are also great anti-inflammatory spices. In high doses, ginger can be just as effective as strong anti-inflammatory medications without the negative side effects. Contact me at janet@sanaview.com to try a wonderful organic turmeric/ginger supplement that I take every day to keep my immune system in proper balance. Please get your body moving. Yes, daily exercise will keep you strong, help to eliminate toxins and keep arthritis symptoms at bay. No need to overdo it if you are in pain, but light regular exercise can do wonders. Learn simple and effective ways to reduce the negative effects of stress on your body. I teach deep breathing exercises and emotional balancing techniques to my clients to help them to enjoy a calmer happier life. Being in balance emotionally supports a balanced immune system and balanced health overall. Strive for balance and all will be well.